BRAND NEW ROOF JUST COMPLETE! PRICED BELOW LATEST APPRAISAL. AMAZING GOLF COURSE FRONTAGE & VIEWS FROM NEARLY EVERY ROOM IN THE HOUSE! BEAUTIFUL REMODEL FROM TOP TO BOTTOM. Greeted with FANTASTIC curb appeal & grand entrance. Enter through your double glass beveled doors, foyer welcomes you with high end porcelain tile flooring and your panoramic views of your sparkling screened pool overlooking the Sweetwater Golf Course. Open FORMAL ROOM with HEAVY DUTY SLIDERS THAT OPEN UP THIS ENTIRE SPACE to pool! MASTER SUITE and ADDITIONAL BEDROOM located off this space. OPEN KITCHEN & FAMILY ROOM with breakfast nook offers a ton of natural light. Kitchen is equipped with stainless steel appliances, 42 cabinets, granite counters and beautiful backsplash. VAULTED CEILINGS with FOCAL POINT FIREPLACE. EXPANSIVE SLIDERS off family room to open up the space to extend your living to the outdoors. MASTER SUITE located off formal room- featuring high-ceilings, MORE SLIDERS, AMAZING RENOVATED MASTER BATHROOM, with dual sinks, vanity area, modern garden tub, glass shower stall and jaw dropping walk in closet. BEDROOM 2 located off the formal room as well, can be used as a bonus room or den/office, or playroom. Bedroom 3 with dual closet space and separate bathroom/guest bathroom. Bedroom 4 is equipped with PRIVATE BATHROOM that access your pool. Fantastic community that offers SWEETWATER AMENITIES IN YOUR LOW HOA FEES – including Sweetwater beach with access to Lake Brantley, park/playground, cabana AND SO MUCH MORE! Amenities Additional Fees: BUYER TO VERIFY INFORMATION WITH HOA. Restrictions: BUYER TO VERIFY INFORMATION WITH HOA. Please, send me more information on this property: MLS# O5745151 – $469,900 – 1325 Majestic Oak Dr, Apopka, FL 32712. 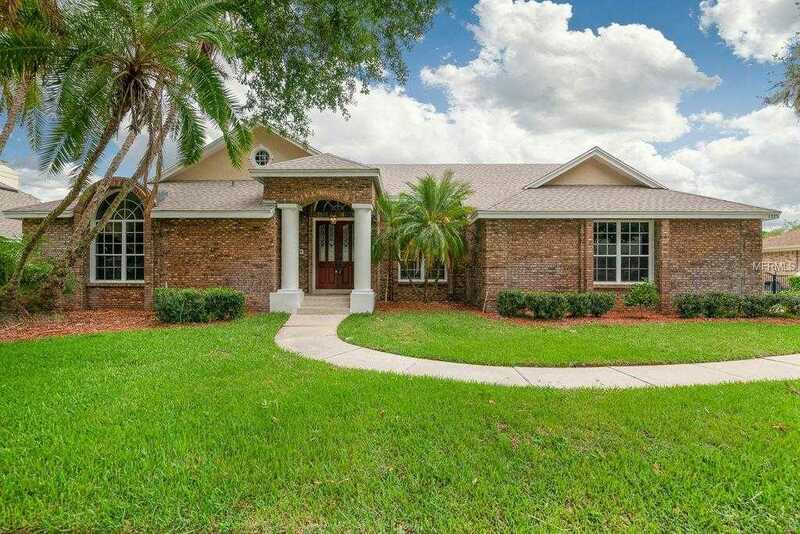 I would like to schedule a showing appointment for this property: MLS# O5745151 – $469,900 – 1325 Majestic Oak Dr, Apopka, FL 32712.